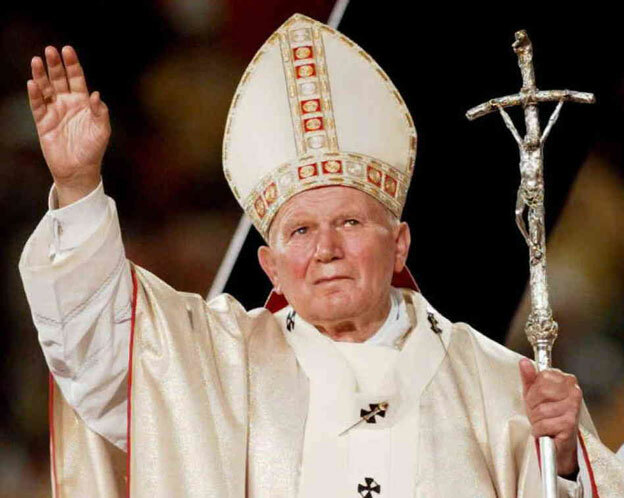 Pope John Paul II will be one of two former pontiffs to be canonised in 2014. Carol King explains what to expect. The world will see a first in 2014 when two living popes will witness the canonisation of two former popes. Blessed Pope John Paul II and Blessed Pope John XXIII will be declared saints on Sunday 27 April. The double canonisation is the first in the history of the Roman Catholic Church and the first with two popes in attendance, Pope Francis and the Pope Emeritus, Benedict XVI. Pope Francis will officiate the mass and ceremony at St. Peter’s, during which the life histories of Blessed Pope John Paul II and Blessed Pope John XXIII will be read aloud. Pope Francis will then chant a prayer that enrols them in the Catalogue of Saints. A large tapestry of the two men will hang from the Basilica for pilgrims to venerate. On Monday 28 April, a Thanksgiving Mass for the two saints will be held in St. Peter’s Square. The Vatican has said it expects more than 100 heads of state to attend the canonisation, which is likely to be the biggest event in the city since Blessed Pope John Paul II’s funeral in 2005. Hundreds of thousands of pilgrims will make their way to Rome, among them tens of thousands from his native Poland. The date of the canonisation is Divine Mercy Sunday, a celebration that Blessed Pope John Paul II instituted. The decision to canonise the two former popes at the same time will unify the Church: commentators point out that Blessed Pope John Paul II is a favourite among conservatives and Blessed Pope John XXIII among progressives. The announcement came in September 2013, after Pope Francis approved the attribution of a second miracle to Blessed Pope John Paul II. In an unusual move, Pope Francis waived the requirement of a second miracle in the case of Blessed Pope John XXIII. Angelo Giuseppe Roncalli was born in the village of Sotto il Monte in Bergamo, Lombardy in 1881. He has a big following in Italy, where he is known as “Il Papa Buono” (The Good Pope). Roncalli entered a seminary in Bergamo in 1893 and was ordained in 1904. He held a variety of papal offices, becoming a cardinal in 1953. After the death of Pope Pius XII in 1958, Roncalli became pontiff taking the name Pope John XXIII. His papacy was brief – he died just five years later, in 1963 – but hugely influential because he convoked the Second Vatican Council that transformed the Catholic Church. He is respected for introducing the vernacular to replace Latin masses. 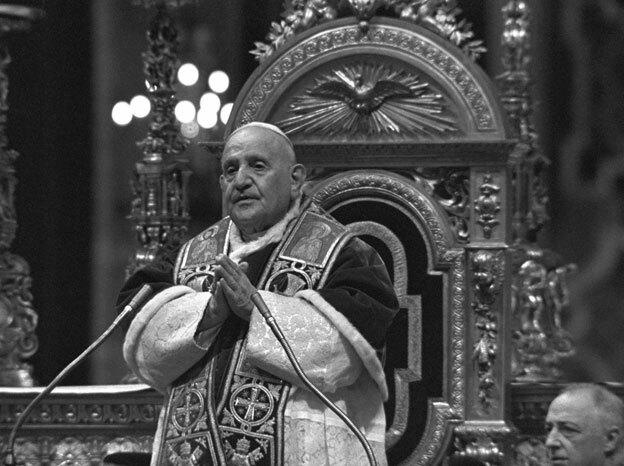 Blessed Pope John XXIII is also famous for creating closer ties between the Church and the Jewish faith. The International Raoul Wallenberg Foundation declared him Righteous Among the Nations in 2000 – “Righteous” is a term used to describe any non-Jew who helped save Jews during the Holocaust. His style was very similar to that of Pope Francis and Blessed Pope John Paul II. In 1958, he became the first pope since 1870 to make pastoral visits in his Diocese of Rome when visited children afflicted with polio and prison inmates. He helped towards a peaceful resolution of the Cuban missile crisis in 1962 and became the first ever pope to be nominated ‘Time’ magazine’s ‘Man of the Year’. Blessed Pope John Paul II beatified him in 2000. Karol Józef Wojtyla was born in Wadowice, Poland in 1920. The youngest of three children, his mother died when he was nine years old. Wojtyla loved sport, including skiing and soccer, as well as the theatre, even considering becoming an actor. In 1938, his family moved from Wadowice to Krakow and he attended the Jagiellonian University. After his father died in 1941, Wojtyla began to think about joining the priesthood. During the Nazi Occupation of Poland in World War II, he studied theology – in hiding some of the time – and he was ordained in 1946. He went on to become Archbishop of Krakow in 1964 and a cardinal in 1967. 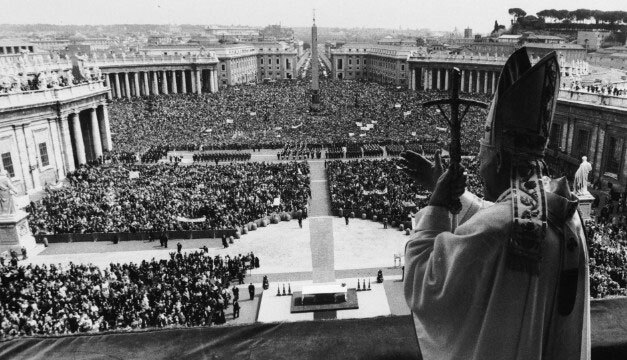 In 1978, Wojtyla was elected pope, becoming the first non-Italian to hold the position in more than 400 years, the first Polish pope and, at the age of 58, the youngest pope of the 20th century. He took the name Pope John Paul II. His papacy was marked by his stand against Communism and the Eastern bloc, charismatic style and dynamic outreach around the world: he travelled to 104 countries and is estimated to have effectively circled the globe 27 times. Blessed Pope John Paul II’s media friendly stance and desire to be close to his flock almost led to his early demise when in 1981, a Turkish fanatic, Mehmet Ali Agca, shot and wounded him in St. Peter’s Square. The pope recovered and later visited his would-be assassin offering him his forgiveness. He remained the head of the Catholic Church until his death in 2005 after a long illness that saw him become increasingly frail. He has been on a fast track to sainthood since his death, when crowds in St. Peter’s Square chanted: “Santo subito!” (sainthood now) and he was beatified in 2011.